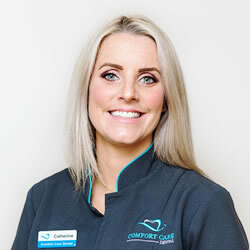 Comfort Care Dental is a family-orientated dental centre providing outstanding care for all ages. In our calming, cheerful environment, our dedicated, long-term staff is always ready to assist you. Read through to find out more about our team! 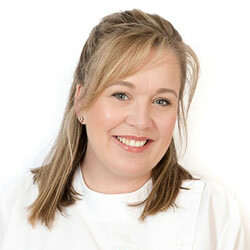 Gail loves putting people at ease and empowering them through gentle, effective dental care. She enjoys getting to know our patients and gaining an understanding of their goals. She strives to make going to the dentist a great experience! Gail is passionate about roller derby. 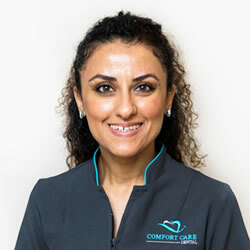 Linda is an excellent problem solver, organized and thorough to keep everything running smoothly at Comfort Care Dental. Patients find her kind and engaging and appreciate her excellent clinical knowledge. She loves playing golf, walking and doing yoga. Always keen to help our patients, Inge is just plain sweet. Whether you need to schedule an appointment or are walking into the office and hearing her cheerful greeting, she brings the sunshine to our practice environment. Natalie loves welcoming old friends and new into our clinic and keeps everything running efficiently. She is an exceptional team player that we all appreciate. When she’s not caring for patients, she enjoys running and eating tasty food. Maria has an excellent work ethic and likes to make people feel at ease with her gentle and caring nature. 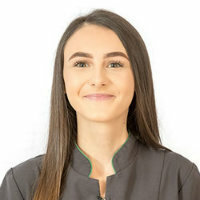 Having worked in Germany as well as Australia, she has vast experience in all aspects of general dentistry as well as implants, periodontics and prosthodontics. 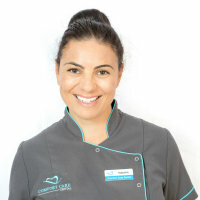 Maria is passionate about food and spends her spare time trying new dining experiences with her husband. She loves to travel whenever she can, especially to see her family in Germany and the United States. Maria is bilingual, speaking fluent English, German, Arabic and Assyrian (new Aramaic). 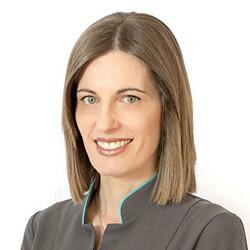 Catherine has many years of experience in the dental industry in varied roles both in Australia and abroad. She’s always smiling and is passionate about making your dental experience positive from the moment you enter the practice to the moment you leave. Catherine loves spending time with her young family and finding online shopping bargains!